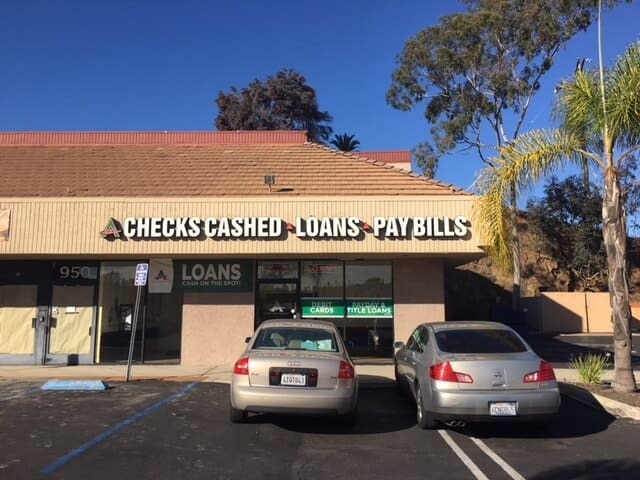 Located in a small shopping center at the corner of E Vista Way and Anza Ave, this ACE store neighbors Subway and has plenty of free parking. This ACE location can be visited via the BREEZE bus line #306 and #318, each stopping at E Vista Way and Vale Terrace Dr. Visit BREEZE’s website for more information about bus routes and schedules. An auto title loan is a secure type of loan. Borrowers use their vehicle’s title as collateral to obtain quick cash. With an auto title loan powered by LoanMart, customers may receive up to $30,000 in as little as one business day!1 3 Providing a streamlined process and superior service since 2002, this alternative funding option is hassle-free. In fact, over 250,000 customers have been satisfied by auto title loans provided by LoanMart.2 You could be one of them, so why not apply?1 Inquiries are completely free and there are no initial obligations!